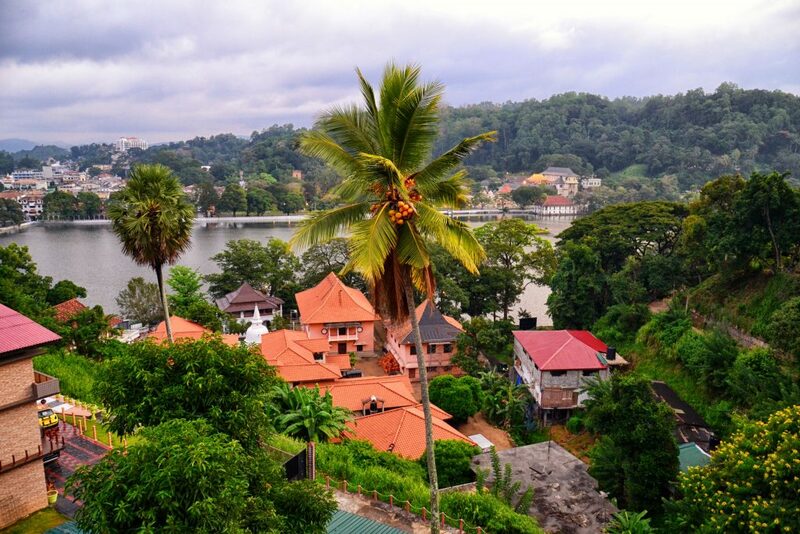 Kandy is located in central province of Sri Lanka. It’s geographical as well as religious centre of the Island. We traveled there by taxi straight from Colombo airport and you pronounce its name like a sweet – “candy”. 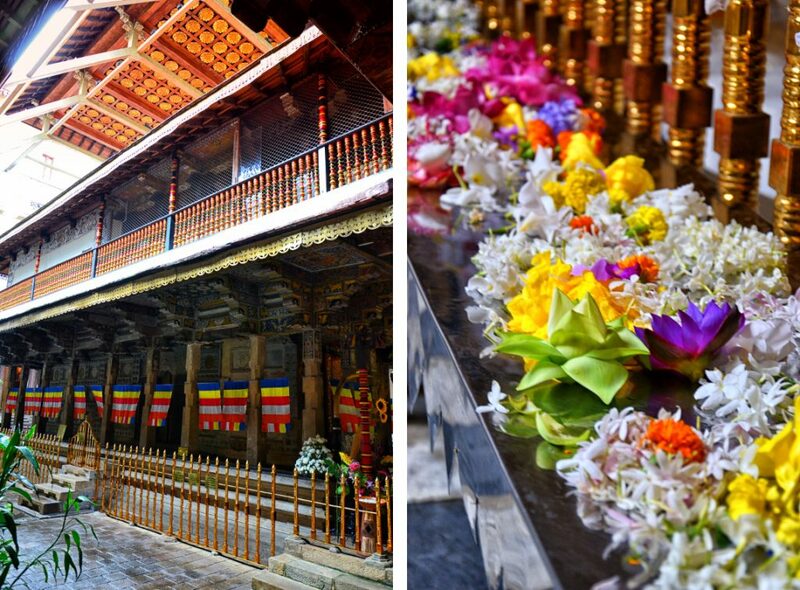 Most definitely we started our Ceylon tour by visiting the most important person – Buddha. As mentioned we started our Sri Lankan trip in luxury, getting a taxi for 110km trip. But don’t get mistaken. It took 2h to get to Kandy due to condition of the roads, vehicle and traffic, also it’s very cheap. You definitely wouldn’t take a taxi for 2h trip in Western Europe. 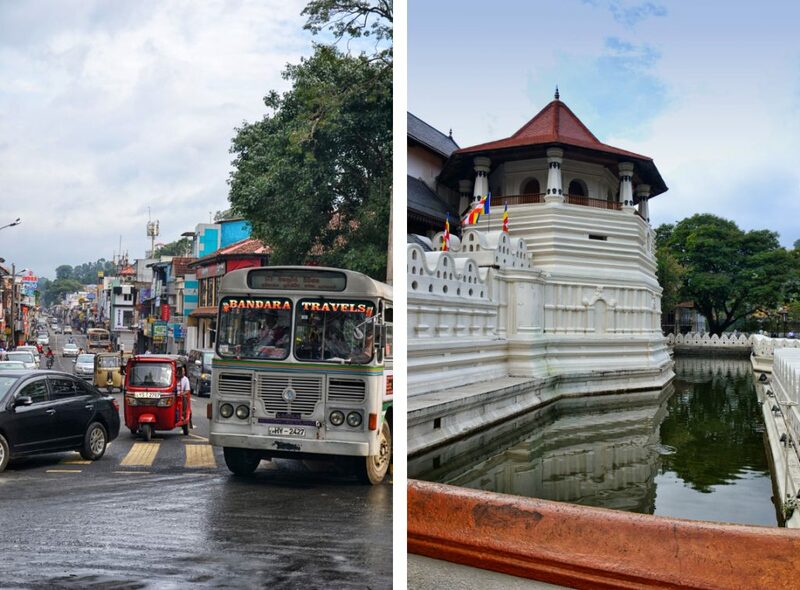 At the end of the day taxi is the fastest and easiest to organize transport from Colombo to Kandy. On first day we only did a short stroll around the city due to journey fatigue. From our beautifully positioned B&B we went down to the lake which is the central point. 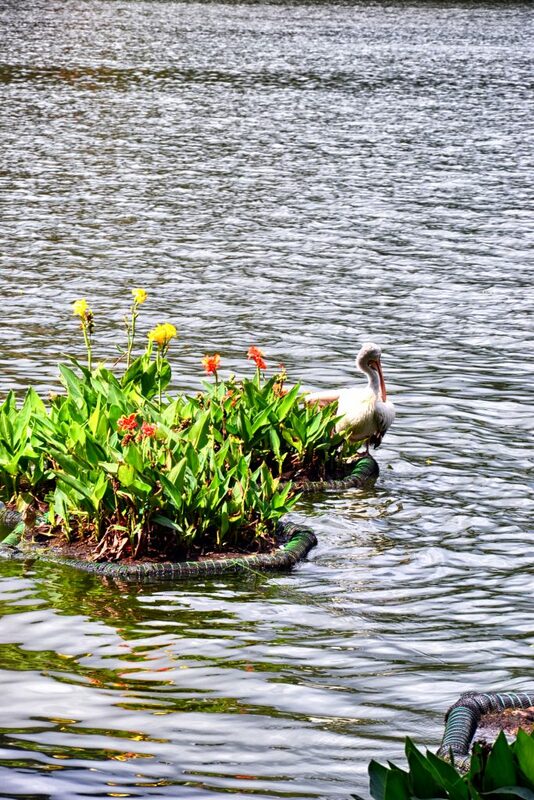 There is a little artificial island and all surroundings are kept clean and tidy. 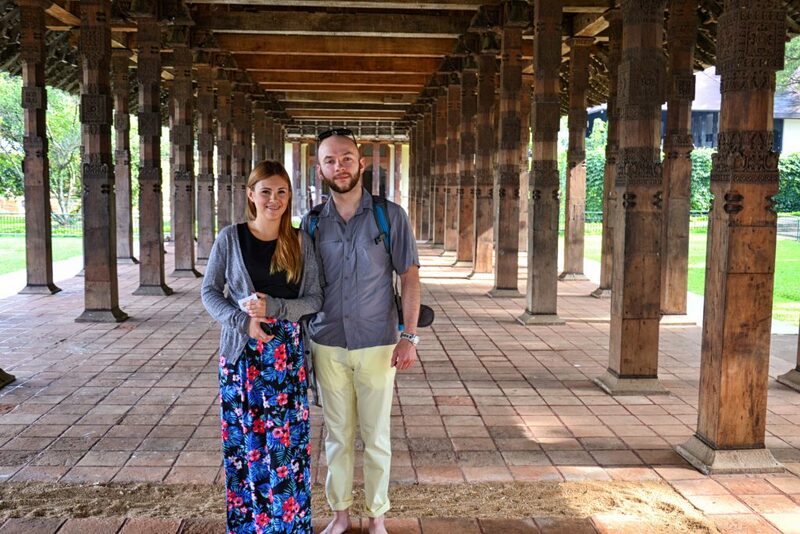 Our first Asian trip made to its exotic promise. We spotted large Iguanas by the lake and huge pelican not overly happy about our interest. One of our main goals was to try Durian fruit – the smelliest fruit in the world. It was challenging as the end of September is not a season for Durian and we paid small fortune. Generally Durian is quite expensive whole year round comparing to other fruits. We got ours from a street stall on the way to Kandy. 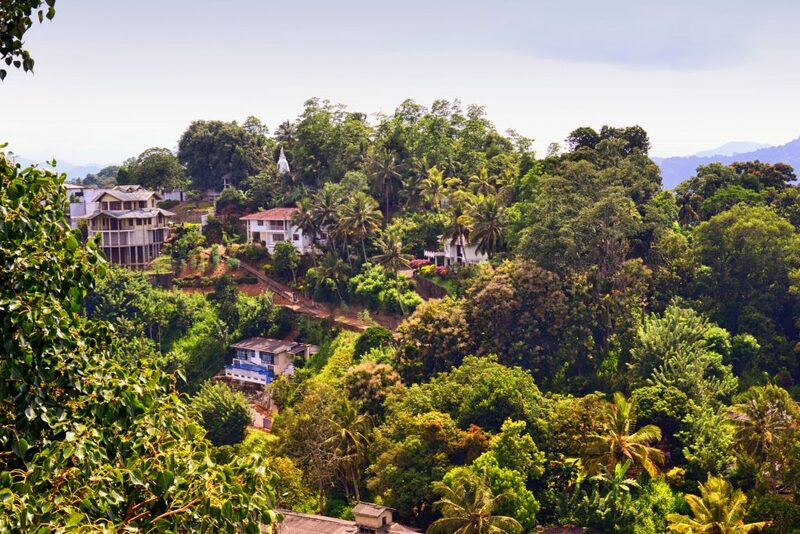 We tried it on the first day hiding in bushes on a local football pitch in Kandy. You can’t bring Durian to any hotel or office, generally public places are no-no due to its distinctive odour. Taste… wasn’t really much better than smell it is something between mayonnaise, raw meat and fruity-herbal sweet note in the end. 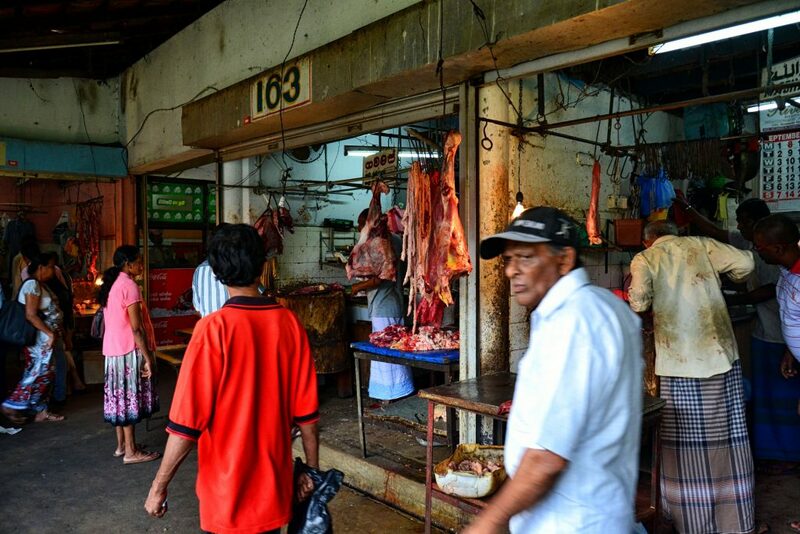 What makes it a real delicacy in Asia? Still trying to figure this one out. 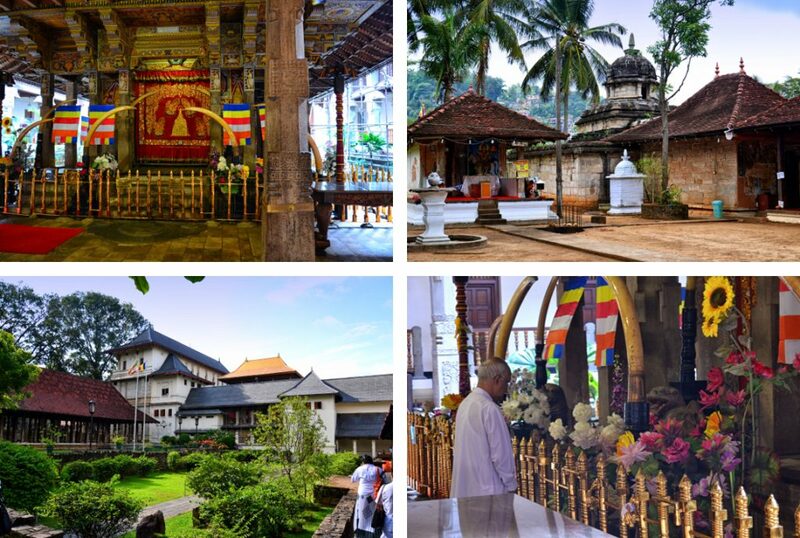 Next day we visited Temple of the Sacred Tooth which makes Kandy religious centre. The name couldn’t be more accurate as the main sacrum is the relic of the tooth of Buddha. 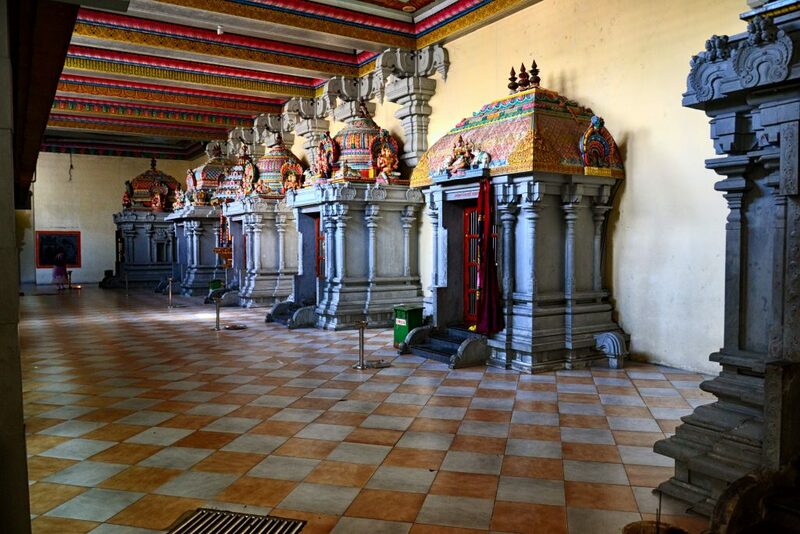 The temple was bombed twice, last time in 1998 by Tamil Tigers but fully restored since. Sri Lanka was deep in civil war at this time. Since attacks there’s a strong military presence and security check is essential in order to entrance. War and safety was the main questions we were asked before travel. War ended in 2009 just 5 years before our visit. As visitors we felt extremely safe and only military presence was a sign of disturbing past. In fact when we were visiting some reported North Sri Lanka to be more dangerous due to high Tamil population, but we don’t know about that. We were newbie to an exotic travel world at the time and easy target for a scam. Our visits to the Temple happen to be on our second day and excitement took over cool head. In own defense we wouldn’t think in sacred place someone will want to make a scam. Straight after security control we were joined by an older Sri Lankan gentleman looking rather poor. He was extremely enthusiastic thou going around with us, explaining stuff and helping with photos. He seems to have a good time and be proud of his heritage and explaining this to us. In the end he intimated it will be 50 dollars for his guide service. After short arguing we handed 20 dollars which after few days we realize is a small fortune. We have learned and your man got a few bucks to support his family. In the end of the day everyone is trying to make a living but cheating on people in the most sacred places shouldn’t be tolerated. In front of the temple we had bizarre encounter with group of Tamil pilgrims from the North. While we were sitting on the stairs looking at people going in and out of the temple we were approach and asked if they could take a photo with us. Of course we agreed but then another couple of people came with the same request and another family… After 10 min they all left satisfied and we got a glimpse of celebrity life. As one of them explained they do not get many tourists in North and because their skin is quite dark we are a great attraction to them . 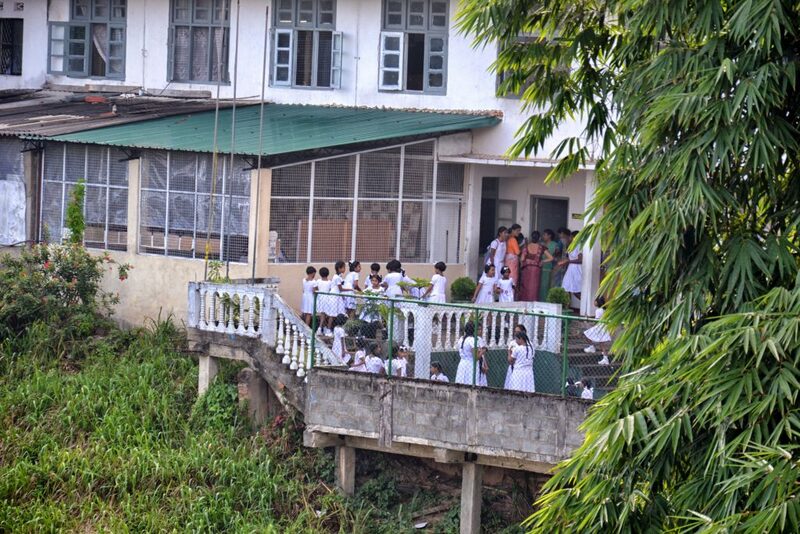 In Kandy we also visited tea museum located a little bit outside the city on the hill. We had a lot of fun riding tuk tuk which is a genuine form of transport for locals rather than tourist attraction. It’s the cheapest way to travel and hectic left hand traffic made us feel like in an amusement park. Museum is called ‘Ceylon Tea Museum’ and it’s a part of Hanthane estate. Museum itself it’s not spectacular,but located in nice historic building with lush green surroundings and one of the best cups of tea you could ever get in the end of tour. 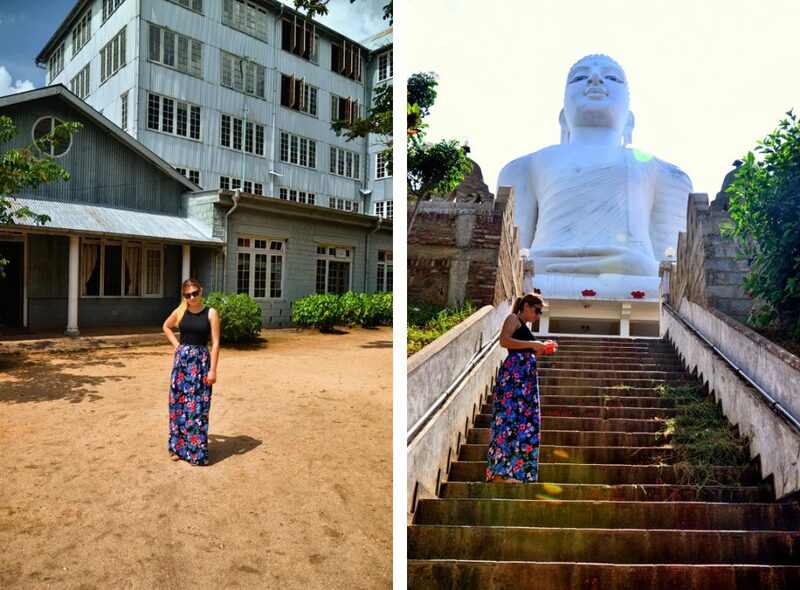 Next we headed to Buddha statue located on one of the hills surrounding Kandy and recommended by Tuk Tuk driver. Probably driver just wanted to make some extra rupee, but to be honest we were impressed by the statue and view. 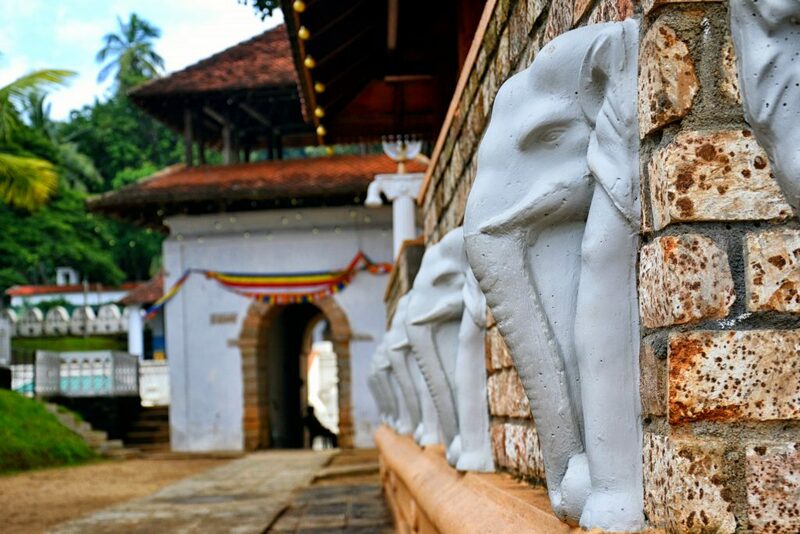 Bahiravakanda Vihara Buddha is the name of statue and tongue twister to pronounce but maybe someone visiting Kandy soon will benefit from that. We were lucky to be the only one around at this time so we had all for ourselves. 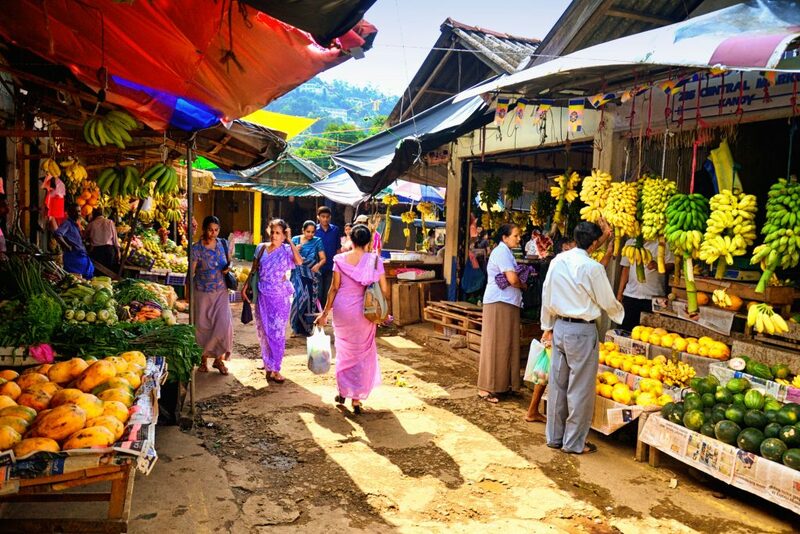 There’s not a bad market in Kandy. Sanitary conditions might give you shivers! But listen, it’s Asia – you have to take it easy. That’s reality there so the best thing to do… close your eyes and enjoy your meal! In Kandy we bought a lot of spices which we brought as souvenirs. Sri Lanka is the best for tea, vanilla and cinnamon. These are great ideas for gifts due to price, quality and taking a little space. Last evening we went to cultural centre to see a dance show. If you search the internet most of the feedback is rather negative. 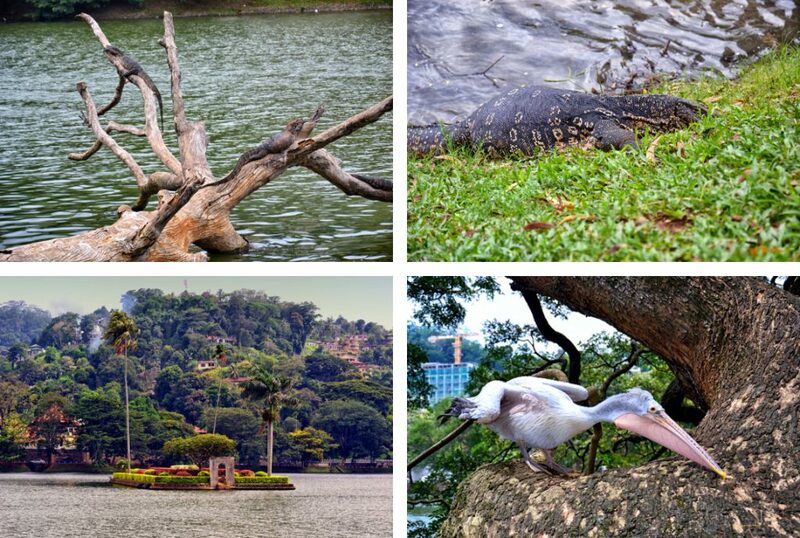 By any means it is not a must see in Kandy but if you have a spare evening it might be an option. It wasn’t really polished and immaculate spectacle, venue was rather poor and the whole experience tourist orientated. But it is a way of seeing some of local folk, instruments and costumes and so on. 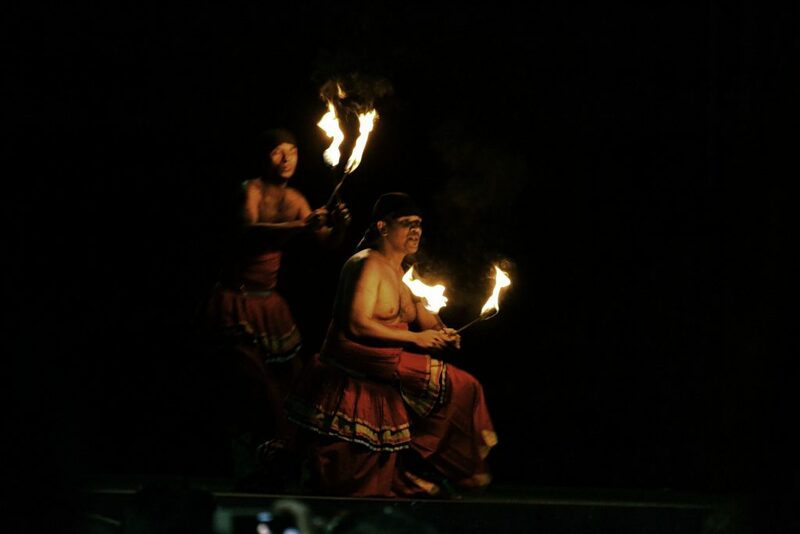 It was also the only type of musical show outside of festivals we have found on our trip.